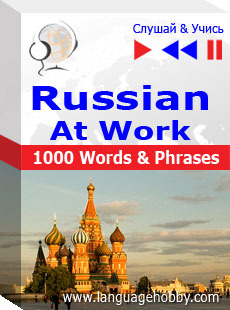 Listen to "Russian at Work" on your iOS and Android device. This is an audio course for learning by listening for those people going to work abroad and for those who use Russian at work. The course includes 10 lessons teaching the most important words and phrases used in typical situations together with 4 thematic groups presenting useful vocabulary in various work-places.